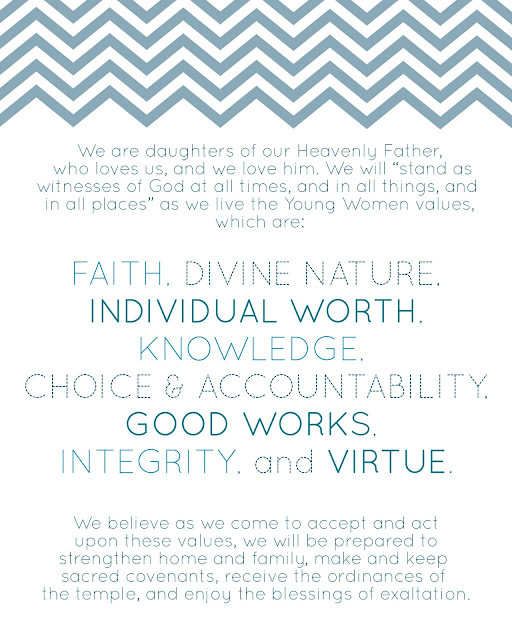 I've been working on decorating our young women's room and I really wanted to make up a more modern version of the young women's theme. I prowled online but couldn't really find anything I loved so I made this one. If you're interested in using this for your own private purposes, just click on the image and you can save the original file. This file is formatted as a 16x20 print. Thanks so much for this printable! 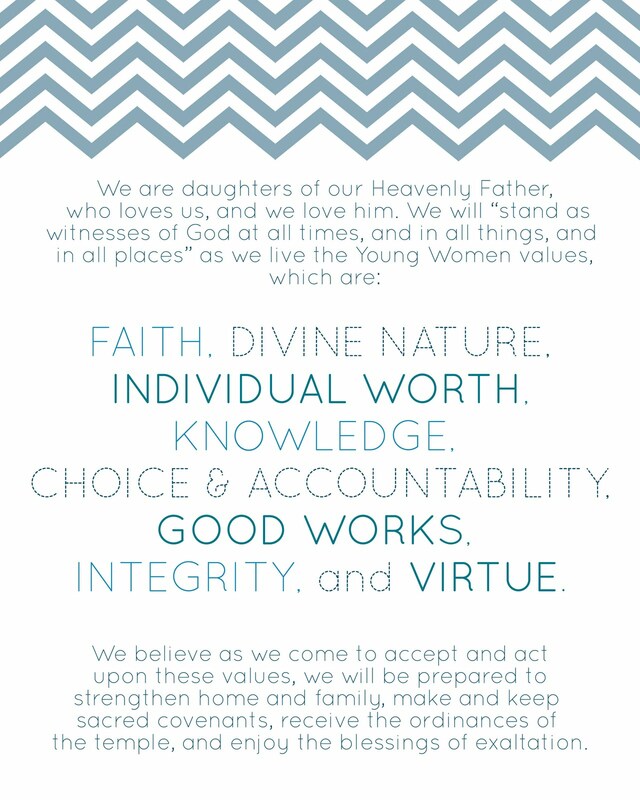 My oldesst is entering YW and I wanted her to have the words so she didn't feel left out. Now she has a beautiful one too! In so glad to hear it! Enjoy!! !